Where to get some SHANKS! 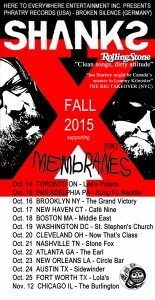 Lee’s Palace show cancelled – Tour Starts in NYC on Friday! “We regret to announce that despite spending £5000 and weeks of planning and work we still have not received our visas for touring the USA. We have not been turned down for visas: We have been approved for visas but the American embassy in London can’t hand them over to us until Thursday so we just cannot get to the show in Toronto. We are still hoping to play Brooklyn on Friday. It’s been an agonising and expensive process. 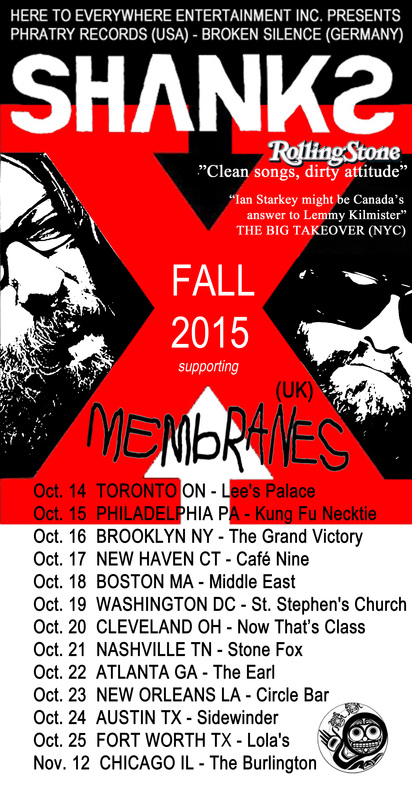 Notes: The Shanks open for The Membranes’ US tour! This entry was posted in American News, Canadian News by shankenstein. Bookmark the permalink. Copyright © 2019 The SHANKS All Rights Reserved.